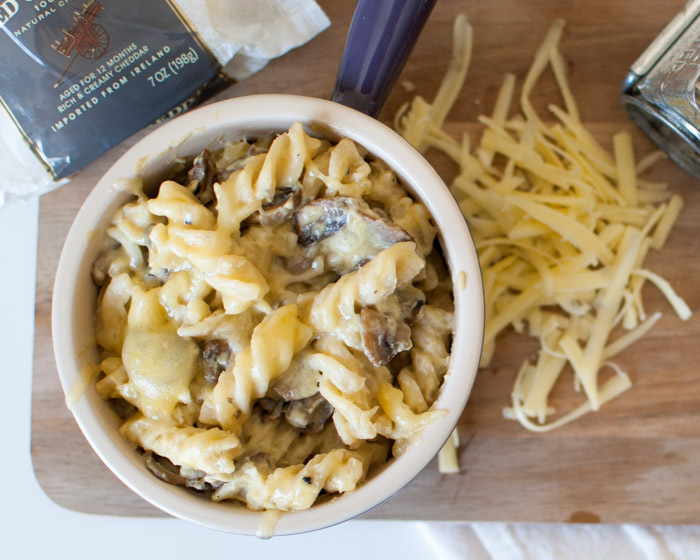 Who doesn’t love good ‘ol mac & cheese? 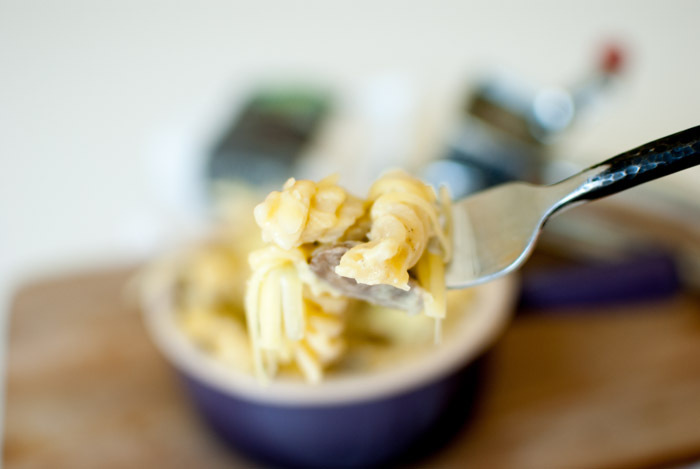 It is a delicious, creamy, cheesy, carb-tastic dish, and I haven’t found one person to say otherwise. After a decadent meal like that, though, one can end up feeling a little heavy the next day. Here’s where that Midlife Crisis comes in. To indulge in the real thing or not? That is the question. What if you could feel like you’re indulging, while still enjoying that creaminess you love so much? The pasta, and some (but not all) of the cheese is still there. There’s mushrooms are a not-so-subtle add-in, just because you like them. Who needs a reason anyway? This recipe was born out of necessity, as many recipes are. I had some roasted acorn squash on my hands. I also have cheese for days in my fridge. I wasn’t feeling too hot yesterday, and wanted something decadent, but I didn’t want my body to suffer the heaviness in the morning. 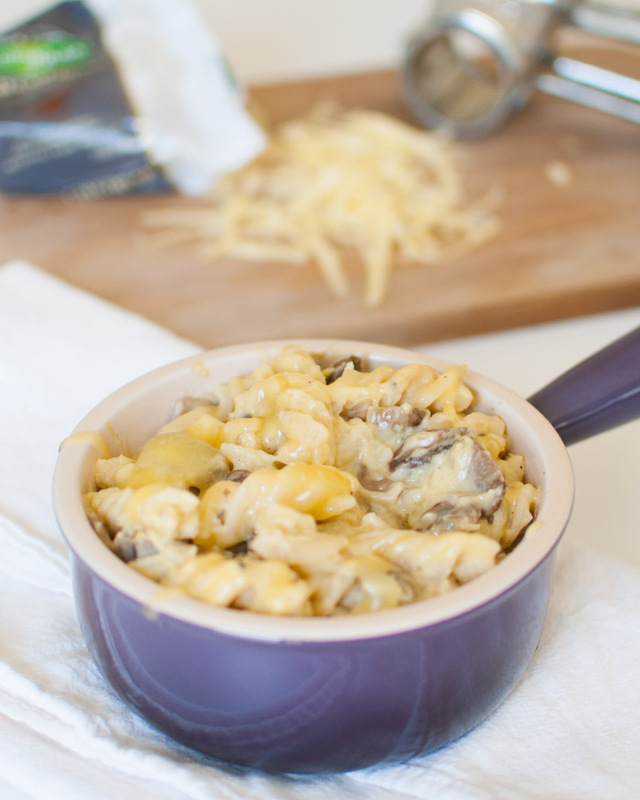 Roasted Acorn Squash Macaroni & Cheese was born, and everyone wins! Cut the acorn squash down the middle, preferably along one of its ridges, and scoop out the seeds. Cut wedges of the acorn squash, again, along the ridges. It makes it easier to peel. With a vegetable peeler, peel the skin off the squash, then cut into even cubes, about a half inch wide. Place on a parchment lined baking sheet, drizzle the olive oil, salt, and pepper, and bake 25 minutes, flipping once halfway through the cooking time. When fork tender, remove from oven, and set aside to cool. While the water is coming up to a boil, heat a large skillet over medium-high heat, adding the butter and olive oil. Slice a quarter of the mushrooms, and add to the pan. This allows us to avoid crowding the pan with mushrooms. While the first quarter of the mushrooms cook, slice another quarter of the mushrooms and add to the pan. Repeat for the remaining mushrooms, while continually stirring to avoid burning. Once the water comes up to a boil, add the pasta, and cook until al-dente, about 8-10 minutes. Place the roasted acorn squash, almond milk, vegetable stock, garlic, mustard, salt and pepper to a blender, and blend until very smooth. Add the puree to the mushrooms, and cook until heated through. Add in the cheese, and stir until completely melted, then add in the pasta. Divide equally into four bowls, and indulge! One Acorn squash will yield about three cups of roasted squash. If you have a little more or a little less, it won’t be a detriment to the recipe. Previous Post: « Bring Back Meat Bombs!